Scratch Ferrari's back and it'll scratch yours with a personalized, custom-built supercar. Ferrari has continued its tradition of rewarding its biggest-spending clients by rewarding one customer with a one-off supercar modeled after their two favorite Ferraris. Development of the P80/C started back in 2015, with the goal being to crossbreed the historic Dino 206 S and 330 P3/P4. 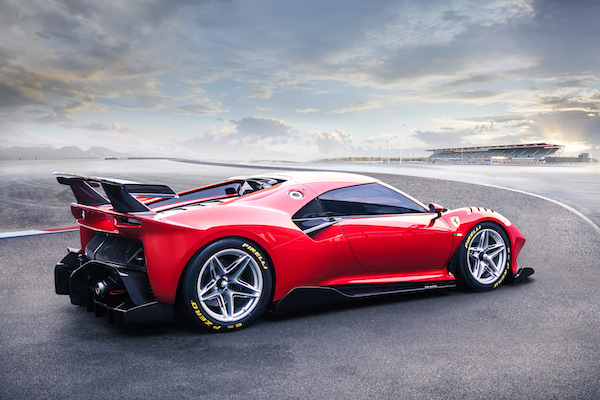 Ferrari elected to combine these styling elements on the basis of a 488 GT3 race car, as the racing variant's 50-millimeter (about two inches) longer wheelbase allowed more creative freedom when it came to fleshing out the bodywork, almost all of which is unique to this car. 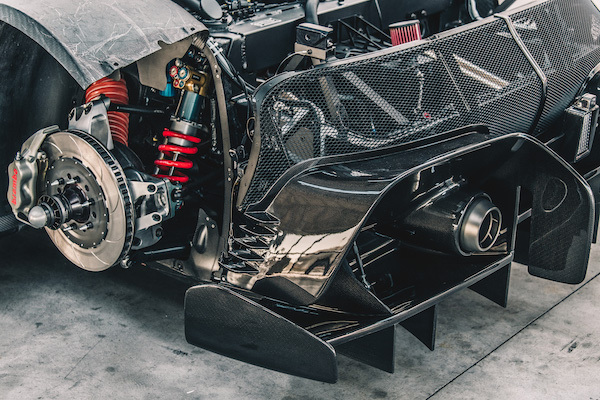 Some of the P80/C's aerodynamic elements are shared with the 488 GT3, such as the diffuser and rear wing, but a new splitter and racing-noncompliant bodywork mean that the P80/C's aerodynamic efficiency is five percent better than the 488 GT3's. 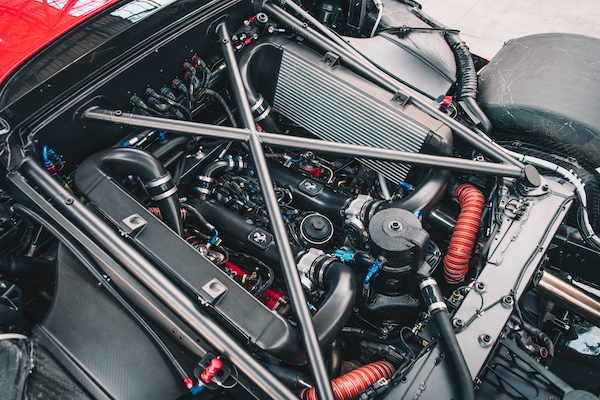 Both share a 3.9-liter, twin-turbo racing V-8, but again, the P80/C isn't a race car, and needn't follow the same rules as the 488 GT3, and thus has its 550-plus horsepower output beat. Despite having little need for multiple wheel options (the P80/C isn't street-legal), it can mount two different types of rollers. One set includes 18-inch, center-lock racing wheels and the other, a flashier set of 21-inch, 10-spoke wheels more suited for show than go. The P80/C's interior is largely 488 GT3, though not entirely, as Ferrari says it redesigned parts of the race car's dashboard for use in the more modern track car. Interior upholstery has been made more comfortable, and the door skins are now carbon fiber. 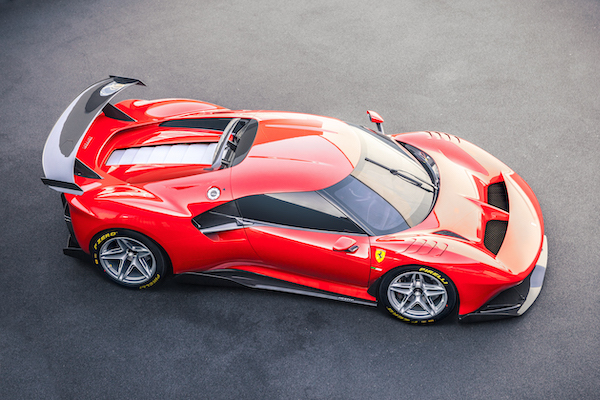 The Ferrari P80/C wasn't the first 488-based one-off—2018's SP38 beat it to that title—but it'll likely be the last, as Ferrari announced earlier this month that the 488 GTB is being replaced by a new, more powerful model called the F8 Tributo. With 710 horsepower, any F8-based one-offs will have performance that can embarrass the P80/C, as fast as it may be. But there'll be plenty more coming from Maranello this year. Ferrari has previously stated that it has five models scheduled for reveal in 2019, the first of which was the aforementioned F8 Tributo, but as a one-off, the P80/C isn't included in that list. It doesn't fit the mold of one of the automaker's three upcoming grand tourers, nor does it match up with the other sports car said to be coming soon, on a new platform to boot. Take the cherry-red P80/C as the cherry itself on the sundae of supercars Ferrari will serve up this year.